The properties of quasi-random and random photonic systems have been extensively studied over the last two decades, but recent technological advances have opened new horizons in the field, providing better samples and devices. New optical characterization techniques have enhanced understanding of the novel and fundamental properties of these systems. This book examines the full hierarchy of these systems, from 1D to 2D and 3D, from photonic crystals and random microresonator chains to quasi crystals. It treats photon transport as well as photon generation and random lasing, and deals with semiconductors, organics and glass materials. 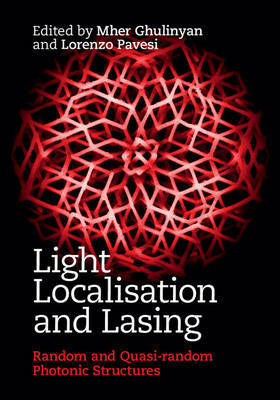 Presenting basic and state-of-the-art research on this fascinating field, this collection of self-contained chapters is an ideal introductory text for graduate students entering this field, as well as a useful reference for researchers in optics, photonics and optical engineering.